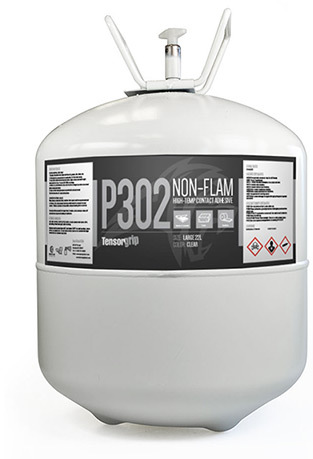 Tensorgrip P307 and P313 adhesives although very similar, have different attributes which are important to know so the user can get the most out of them. Did you know, canisters are the most economical way to apply adhesives? 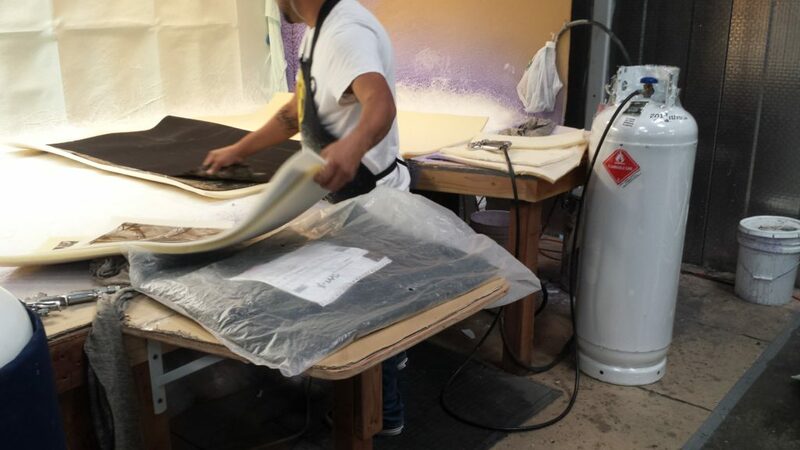 Their transfer efficiency (how much adhesive actually goes on the surface) is close to 95%. That’s right. Almost all the adhesive you have purchased goes on the substrates you’re trying to bond. Let’s compare that 95% to “other” methods of application. Rolling or brushing on adhesive is a sure way to get the surface 100% covered. BUT, typically you’re putting down WAY too much. Spraying has been, for years, the most economical method of application. BUT, a lot is lost into the atmosphere as air is used to atomize the adhesive. Spraying solvent based adhesives offers about 75% transfer efficiency. Spraying a water based product offers only about 25% transfer efficiency. Canisters are the most economical method AND they are portable. No outside air source is needed.